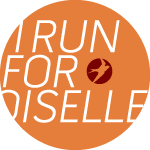 This past weekend I ran my tune up race for the Chicago Marathon. 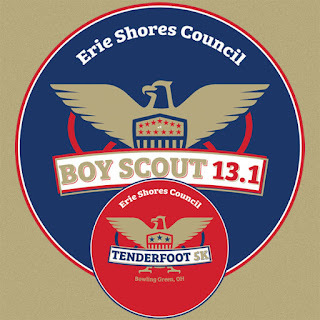 I ran the Boy Scout half marathon in Bowling Green, OH. 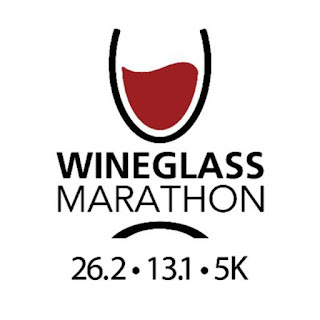 I ran the same race last year, and you can see that I ran it in this post. No full recap last year, as I was SO CLOSE to BQ.2 Chicagoland. Also I just ran it at marathon pace, so there is not much to report there. This year it is a little different. This year I truly thought I was in PR shape, and I was going to go for it. But at the same time, I was going to use it as an exercise in mental toughness to try and work as hard as I could. I needed the practice in trying to run hard when it hurt. And I knew this was going to be a good opportunity to do so. Coach told me a good plan, start around PR pace (or slightly slower) through 8, and then slowly start to chip away. On the phone, he told me he thought I could PR - he later told me that he didn't think I was quite ready, but wanted me to really be out there fighting. I planned on going out between 7:20 and 7:25. I wanted to start cutting back my pace at 8 miles, and at 10 miles be ready to race ALL OUT. I was feeling mentally good. I was feeling ready. J dropped me off at the fairgrounds and I stripped out of my hoodie. He headed over to a golf course that we ran through around mile 8 or 9 where he was playing. 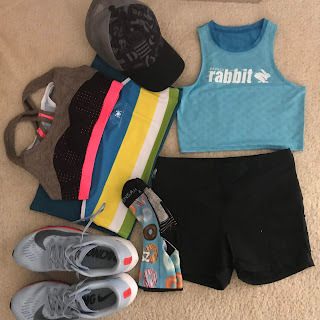 I went in and picked up all of my goodies, pinned my bib to my singlet, tossed everything else in the bag - I don't need any coupons or anything, plus I didn't have anywhere to keep it - and pulled the shirt on over my singlet so I would have something a little bit warmer to warm up in. I ran two miles around the fairgrounds before heading back to the packet pick up area to meet up with Kaitlynn and get the race started. To make it quick, the wheels fell off my pacing. For some reason starting around mile 10 I started to fall apart. I kept the effort consistent, and made the decision that I was going to keep pushing no matter what. Mile 11 was 7:50. Ugh. I managed to come back from that and run a 7:38 mile 12 and a 7:21 mile 13, finishing that last 0.1 at a 7:04 pace. So I definitely fought back when my legs got tired. And I am really proud of that. I ended up finishing the race at 1:38:00 and it is my SECOND fastest half marathon. Not only did I run my second fastest half, but I managed to score first place in my age group! This was my prize. (it is filled with the first pumpkin beer of the season for this picture.) And this race allowed me to update my paces in McRun to continue to work toward faster times for Chicago. I have my fingers crossed.